Crush dry red chillies and shallots together and keep it aside. Add curry leaves and crushed mixture and saute well. 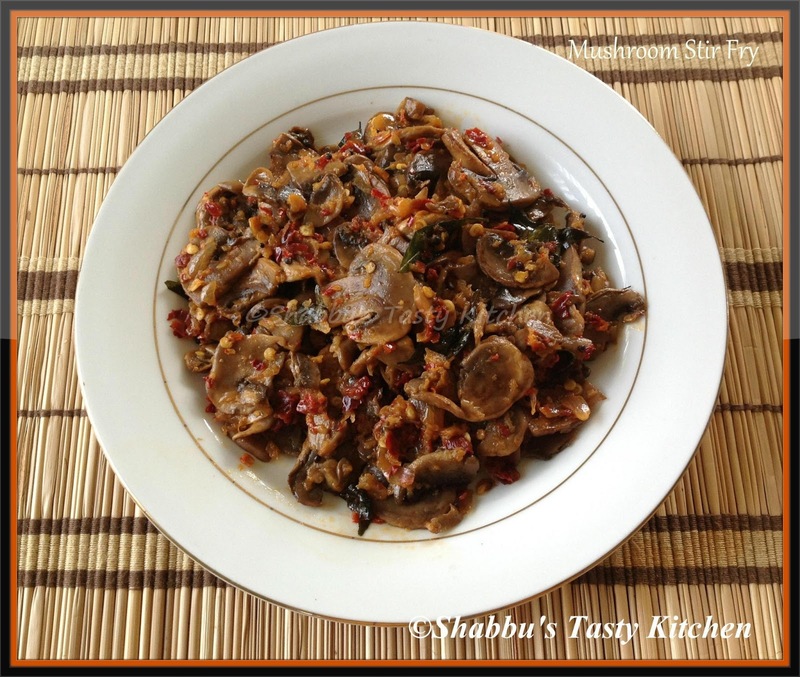 Add sliced mushrooms and salt, mix well and cook covered it in low flame. Wat an excellent stir fry, love to have with both rotis and rice. My fav stirfried mushroom. Mouthwatering, so delicious! Wow so tempting the dish looks. Well made.